Okay so all day Saturday I was having this tickle in my throat. That feeling you have when you are on the verge of going to cough. Anyways I had a gig at night from 9pm to 12am with roughly 30 minutes break in between. A couple of hours before the gig I had a hot steamy shower to help loosen things up a bit. Drank a fair amount of water aswell. From the first song I could feel it wasn't right.A terrible feeling when you know you have nearly 2 and half hours worth of singing to do. In normal circumstances I would have called off the gig but this was a new venue for me and I didnt want to let them down. The last time I experienced this I realise now that i ended up over singing with bad technique. This put me out of the game for 3 weeks. This was before I invested in Kens program. I knew this wasnt going to be easy but applying Ken's technique actually managed to get me through the night. I wasn't up to my best but I knew I'd probably get by and hopefully they would be happy enough that I had made a good enough effort. I kind of stuck to easier songs mostly and chopped and changed when I felt I needed too...If it got anywhere near something i was struggling a little with. I must have drank about 7 pints of water that night..no joke.. I concentrated like mad remembering all the techniques... cutting back the air...really using the diaphragm...posture..just everything. it was one of the most difficult situations i have ever been in. If i let any air pass over those chords I would have been in serious trouble... honestly...pretty scarey. I can't thank Ken enough.. This course has been a pure godsend to me. I wouldn't advise to power on like i did i really wouldn't but it just goes to show that Ken's method works even when you think you might be at a total loss. Yes, the more you train your voice, the more it will be able to come through for you when the chips are down. Your training pulled you through. Kudos to you and kudos to Ken, as well. His methods are like GOLD. I can't tell you how many times I have experienced the same thing, in fact it's one of the reasons I encourage to keep singing through colds and flu (except chest colds). Not only that, but if you came back the next day and did your workouts your voice will stay strong. Great singing to you Wayne! Oh dear... I never did anything on Sunday or Monday as I have had no energy.. Really bad flu now. I didn't think I was even up to it today.. I actually do remember you saying that in the course that it's best to get back on it..
For the last couple of weeks I've been really been puting the practice in with over two hours of scales...through the 3 courses..
Then singing my songs for at least another 2 hours.. I was averaging about 5 hours a day. That has obviously helped a great deal. I am going through volume 1 and 2 as I am writing this just now and I'm fine... No strain pressure or croakiness at all going through. I was thinking nooooooo don't tell me I'm going to be out the game for a few weeks. I am actually glad I posted this though as I may have left it another day. Good job dude. That's what pros do - find a way to power through when others quit, without killing themselves in the process. 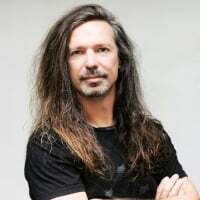 I'm glad you mentioned chest colds, @Ken Tamplin, as that's what I'm going through now, and have been staying away until my cough stops and my chest feels better. I figure I should be able to start some light workouts in a day or two. Because chest colds include all that coughing, that is directly scraping your vocal cords every time you cough, and that's when you just need to get well before you try to sing. Ken does have a lot of recommendations for reducing mucus, and of course that is what causes the cough response in the first place. Vocal rest for chest colds and laryngitis, and gently continuing to sing through it for most other ailments. Hope everybody is staying well.